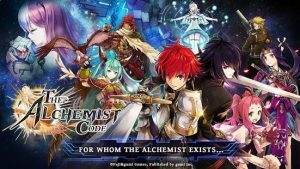 The pinnacle of Japanese Strategy RPGs enjoyed by millions in Japan, The Alchemist Code brings forth an enjoyable mix of genuine tactical elements and a plethora of high quality content – from intense 3D animations to stunning anime-styled cutscenes as well as superb music and voice acting! The game will require you to grant permission to access photos, media, and other files on your device. Enabling this permission will allow game data to be written to your SD card. Contact us on alchemistww.zendesk.com/ for further help with technical issues. This game runs perfectly fine. Anyone complaining its slow is because they are on a old andriod or ios. This game runs perfectly fine. Go get a more updated device people. And if you don’t like the download every click there is a option in your user profile to download all content at once. Be immersed with gripping storylines of your favorite characters in the new story content: Babel Chronicles. Break your characters’ limits further than before and push them to a whole new level with Enlightenment! Gear up your characters with Mementos to give your units an extra edge against tougher foes. Replenish your AP with AP recovery items to continue on your adventures!